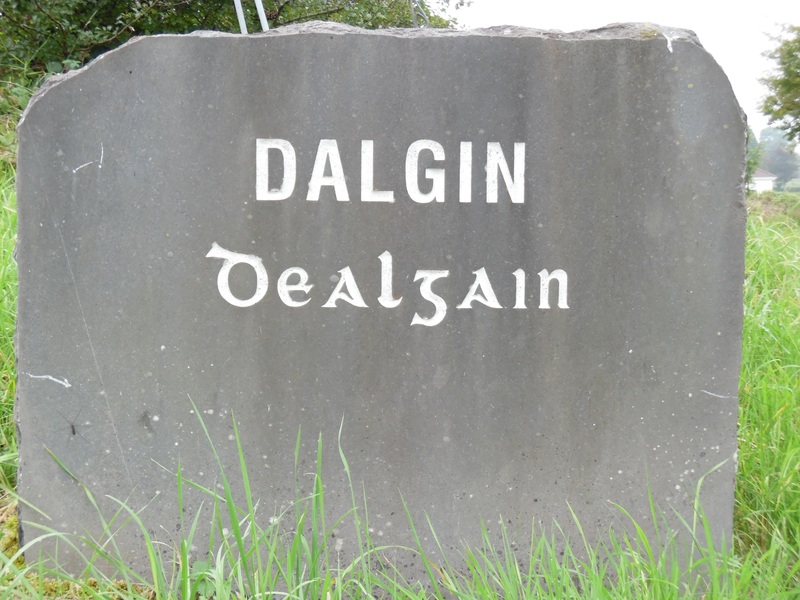 There are 3 monuments in Dalgin, 2 Ringforts (both rath) and 1 children’s burial ground. The first monument is a ringfort which lies in the former Dalgin estate. The National Monument Service, Archaeological Survey of Ireland states that the ringfort is on a ridge in undulating grassland. Well-preserved almost circular rath (N-S 33m, E-W 32m) defined for the most part by a tree-lined scarp with traces of a degraded bank visible intermittently. There is as entrance at South East. The second monument is a Children’s Burial Ground which also lies within the former Dalgin estate. The National Monument Service, Archaeological Survey of Ireland states that the children’s burial was marked on 3rd edition of Ordinance Survey 6-inch map (1930) as a small circular hollow (20m D c.) and locally regarded as CBG (Childrens’ Burial Ground). What survives is a tree-filled hollow surrounded by an earthen bank with traces of a possible fosse (ditch) from east to south. It was also noted that no grave-markers were visible. The last monument in Dalgin is a ringfort. The National Monument Service, Archaeological Survey of Ireland states that the ringfort is on a rise in undulating grassland. Subcircular rath (N-S 45m, E-W 42m), in fair condition, defined by a bank and external fosse (ditch). The bank is present from north through east to west; elsewhere a scarp forms the enclosing element. The fosse is visible from south to west. Quarrying has encroached upon the monument at west. Five small earthen mounds within the interior appear modern. This page was added on 20/01/2015.